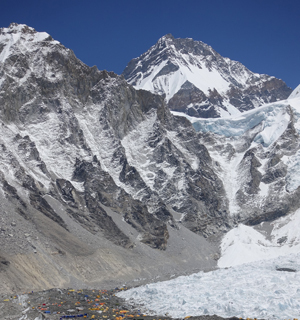 Everest Base Camp Trekking FAQ | Answer all question about Everest Base camp Trekking. 01: How hard is Everest Base Camp Trekking? Depending upon your physical fitness and your previous trekking or outdoor experience, actually it is not that hard our itinerary day trekking on route is flexible with enough days with acclimatization and rest days before heading higher elevation, as long you are physically fit and in sound health one can do this trek which is from moderate to adventurous grading. 02: How long is Everest Trek? There are various ways that one can choose the trek to Everest area, the shortest way of reaching Everest Base Camp is by a short 30 minutes scenic flight to Lukla at 2,820 meters high, the gateway to Everest area. The other longer route is by Jiri, the classic way and the old earlier trail before the Lukla airstrip was constructed, trekkers used this way taking at least 10 days to reach Namche Bazaar and more days towards Everest Base Camp. The other route is via Arun Valley taking a flight to Tumlingtar town in the mid east Nepal, from here trekking to Namche Bazaar takes at least 11 days. EncountersNepal has varied trekking around Everest region from short 8 days to 12 days or more, the other adventurous route is by Rolwaling valley crossing over the high Tashi Labtsa pass of over 5,565 meters high to reach the Khumbu of Everest region. If you are really into pure hard adventure there is a route from Makalu and Barun valley area which is a tough pass crossing high Sherpani Col 5,840 m and another high pass of Amphu Labtsa at 5,640 m.
03: What to expect during the trek to Everest area? From Lukla onwards completely dominated by Tibetan sect of Buddhism where you can find along the walk going through Mani (Prayer) Wall, Prayer Wheels and interesting monasteries along the route, Everest and Khumbu area home of the Sherpa people “The High Landers of Himalaya” here you can observe the old Buddhist culture, religion and customs, on the trail heading high uphill climb and downhill walk crossing several suspension bridges, walking into serene pine and rhododendron forested area chances seeing some wildlife like Himalayan Thar, Musk Deer, Mountain antelopes and many species of birdlife with Nepal National Bird the “Danfe” (Lophouporus), scenic mountain views and landscapes with high altitude climate from alpine to arctic temperatures. 04: How are the Tea Houses and Lodge along the route to Everest? Since the flow of Trekkers and mountaineers from 1970’s onwards it was well established, at present there are many nice, cozy and well furnished rooms in all lodges with pot belly stoves as heating system, all run by native Sherpa people offering nice food menu along with the hospitality. 05: What religions and customs practiced around Everest? The Sherpa people and Everest area is heavily influenced by Tibetan Buddhism, in every village you can find a monastery with priest called Lama. The life style in daily life is of Tibetan ways of culture and traditions even the language is similar to Tibetans as Sher means East, so the Sherpa came from East Tibet to Khumbu area of Everest. 06: Is Everest protected with National Park? 07: How is the walk from (Jiri) old route to Everest? The walk from Jiri starting from above 2,500 meters leads to many downhill and uphill walk through many mid hill villages where you can observe the local culture, walk through beautiful forested area of rhododendron, pines and fir trees with awesome views of high snow capped mountains of Gaurishanker, Melung tse, and of Khumbu Himal including Everest some area during the trek. 08: Is it better walking from Jiri to Everest base camp? You will be on the footsteps of some legendary mountaineers Tenzing Sherpa and Sir Edmund Hillary who walked this route in the April to June months for Mt. Everest expeditions. Yes it is a scenic trail with wonderful views but takes longer more than a week to reach Namche Bazaar, while from Lukla it is only 2 days. But on this trek from Jiri you will see more of eastern Nepal its country life, custom and cultures. 09: How many routes lead to Everest area? There are many various routes to Everest and Khumbu area the shortest means is short flight to Lukla from Kathmandu, the other old route is by Jiri and one can trek from Arun valley which is in eastern Nepal. The other route is by a high adventurous route over Sherpani Col from Makalu area which leads to 2 high passes including Amphu Laptsa both of over 5,500 to 6,000 meters. The other route is from Rolwaling valley crossing high Tashi Labtsa pass of over 5,600 meters. 10: How is Everest base camp trek compared to other Himalaya area? 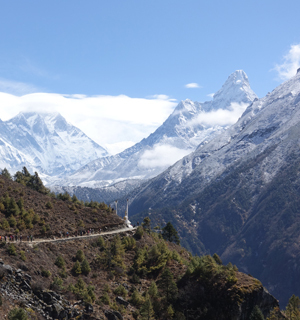 11: How are the views and sceneries around Everest? On trek to Everest area daily views of snow capped peaks of Tharmarsarku, Kwangde, Kangtenga, Taboche, Cholatse, Ama Dablam including Everest, Nuptse and Lhotse mountains with views of deep valley and rolling hill landscapes. 12: What are the landscapes and vegetations around Everest? The Mountains of Everest region and Sagarmatha National Park are geologically young and broken up by deep gorges and glacial valleys. Vegetation includes pine and hemlock forests at lower altitudes, fir, juniper, birch and rhododendron woods, scrub and alpine plant communities, and bare rock and snow. 13: When is the flowering season around Everest area? 14: What kind of wildlife seen in the Sagarmatha National Park of Everest? Wild animals most likely to be seen in the park are the Himalayan thar, goral, serow and musk deer. The snow leopard and Himalayan black bear are present but rarely sighted, other mammals rarely seen are the weasel, marten, Himalayan mouse hare (pika), jackal and languor monkey. 15: Is Everest and Sagarmatha National Park highly populated? Everest area and the park is populated by approximately 3,000 of the famed Sherpa people whose lives are interwoven with the teaching of Buddhism. The main settlements are Namche Bazaar, Khumjung, Khunde, Thame, Thyangboche, Pangboche and Phortse. The economy of the Khumbu Sherpa community has traditionally been heavily based on trade and livestock herding. 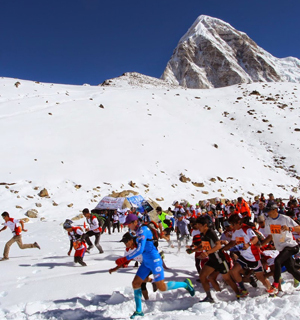 But with the coming of international mountaineering expeditions since 1950 and the influx of foreign trekkers, the Sherpa economy today is becoming increasingly dependent on tourism. 16: What types of meals served along the route in Everest area? One can find many choices of food as per the lodge menu and season wise, as the trek leads higher above the menu varieties are limited due to cold and altitude wise, one can find from bakery items, rice / dal and mild veg curry, noodles to Yak or buffalo meat steak, soups with variations. 17: What altitude does Yak exists? Yaks are found grazing over the pasture in the high country above 3,000 meters high. 18: Is Yak used for carrying loads? Yes, Yak are the beast of burden been carrying loads for mountaineers, trekkers and for merchants. 19: Why Yak not used below 3,000 m? Yak cannot survive below 3,000 meters due air current, temperature and vegetation that they are not used lower area for grazing. 20: What alternative below 3,000 m for carrying loads? From Jiri or Lukla onwards using human porters and from Lukla Ghop kyu ( a cross between yak and normal cow) are used for carrying loads as they can survive both above 3,000 to 6,000 meters and as far to 2,000 meters below. 21: What kind of people trek mostly? Depending upon the choice of trekking and duration level of the holiday, Encounter Nepal has taken people from below 10 children to above 70 years elderly people. 22: How can children and elderly people walk around Everest? The good thing is that for young child below 10 and 70 yrs above people a short trek to Tengboche is the limit due to altitude and health wise which is at 3,867 meters high. 23: What temperature exists around Everest area? Temperature varies as per the season April to September temperature are normal below 05° C to 20° C morning and evening are cold while the day time is perfect with sunshine. Around October to March temperature gets below minimum -10° C to maximum 15° C during the day. 24: When is the nice time to trek around Everest area? The best time is from April to June and September to November months when the temperature rise are comfortable. 25: When is the Everest expedition’s time? Mountaineering expeditions are usually from March to June and the main climb to the summit of Everest is mid April to end of May or beyond as used these months since the early climbers to Mt. Everest from South Nepal side. 26: Is Everest has been climbed in winter months? At present since last 10 years, winter climb is getting popular mostly the Korean climber started the winter climb as it is safe from avalanche which is prone in summer months due to warm temperatures. 27: Why is Everest trek getting popular? There are many reasons the fact is due to its easy accessibility to Lukla taking a short flight from Kathmandu and for the super views of Everest and other beautiful scenery and high mountains including the warm friendly nature of Sherpa people. 28: What are the best ways to choose Everest trek? It completely depends upon your physical fitness and ability and duration of your holiday. 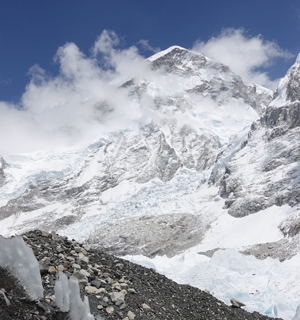 As the there are various options trekking to Everest area from a week to 2 weeks or more. 29: What are the grades of Everest trekking area and duration? We have programs from moderate, adventurous to challenging adventure trekking which leads to high passes of over 5,000 meters. 30: Please name the Everest trek and grade as per the itinerary? Different trekking company has different grading systems, while Encounter Nepal Everest Base Camp trek grade as from moderate to Adventurous. Short trek to Tengboche Monastery grade is Moderate with high uphill walk. Gokyo Lake to Everest Base Camp grade as Adventurous and there are many adventurous to extreme as 3 passes of Khumbu /Everest. 31: What are the main views on Everest Base Camp trek? Mt. Everest (8,848m / 29, 028ft) Mt. Lhotse (8,516 m-24,940 ft), Mt. 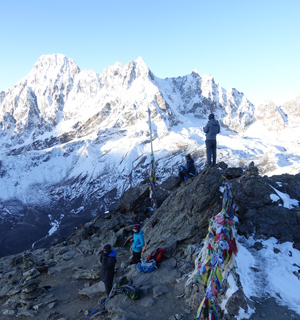 Nuptse (7,855m-25,772 ft) Pumori (7,161 m / 25,772 ft) Ama Dablam (6,812 m / 22,480 ft) Kangtenga (6,782 m / 22, 380 ft) Tharmarserku ( 6,623 m / 21, 855 ft) Kwangde (6,011 m / 19,837 ft) Kusum Khanguru (6,373 m / 21,030 ft) holy mountain Khumbi-la (5,761 m / 19,012 ft) extending to world’s 5th highest Mt. Makalu (8,463 m / 27, 766 ft) with Island Peak / Imjatse (6,160 m / 20,328ft) Lobuje Peak (6,119 m / 20,192 ft) Pokhalde ( 5,806 m / 19,159 ft) and many other adjoining unnamed peaks in the comfort of nice cozy lodge and Sherpa hospitality. 32: What is like to Gokyo Lake trek? 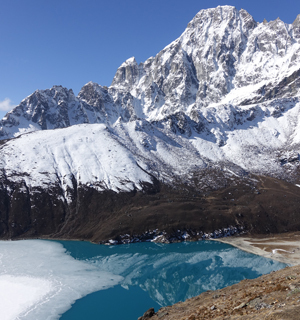 Gokyo Lake one of the most picturesque adventure destination, offers views of Mt. Cho-Oyu world 6th highest with Mt. Everest and the simmering emerald color Gokyo lake. 33: How high is Gokyo Lake and the view point? Gokyo Lake is at 4,800 m high and the scenic view point Gokyo Ri at 5,330 m high with super panorama of Everest, Lhotse, Nuptse, Cho-Oyu as far to Mt.Makalu. 34: How is the trek from Gokyo to Everest Base Camp? From Gokyo the shortest route is by Tsho (cho) la pass at 5,367 m high, starting early morning with a steep climb to the top of the pass and then a steep downhill to Dzongla and then a normal good walk to Everest base camp via Lobuche and Gorakshep. 35: How high is Kalapathar what will I see? Kalapathar a small mountain which can be reached trekking uphill for few hours from Gorakshep located at 5,545 meters high with closest views of Mt. Everest with other adjoining high mountains. 36: What kinds of clothing required for Everest trekking? Depending upon the season of trekking, but normally warm down jacket is needed with thermal under garment, gloves, snow gaiters, wind / rain proof jackets, warm sleeping bags and important a good comfortable trekking boots. 37: On route trekking are lodge warm? All the lodge are warm and cozy with pot belly iron stoves to warm the main dining rooms. 38: How safe is trekking around Everest area? Everest area so far is very safe from thefts and burglar, but still one has to be cautious with valuables and money keeping in a safe place. As for altitude wise itinerary have rest day for acclimatization for altitude hazard before going higher elevations. 39: If someone is very sick what safety measures are taken? If one is very sick, this can happen with uncertain accident as well we have strong relation with helicopter companies. Guide will contact the head office for emergency evacuation as soon as possible bringing the victim back to Kathmandu and in good hospital till the patient recovers. 40: What document and papers are required for Everest Trek? We strongly recommend that all clients have health certificate and medical / travel insurance covering heli service when required. Others are PP size photo to obtain permits like TIMS (Trekking Information Management System) important on all trekking around Nepal Himalaya with National Park permits.